Over the last few decades, there has been a mountain of research on the healing powers of individual compounds in foods, such as lycopene, vitamin D and essential fatty acids. Yet, scientists are now realizing that while an antioxidant like sulforaphane in broccoli can be a potent cancer fighter on its own, combining it with another compound such as selenium found in chicken, fish and Brazil nuts, will give you even more impressive disease-fighting results. “Food synergy ties into the prevention of so many of our chronic illnesses, including heart disease, stroke, cancer and diabetes,” says California-based dietitian Elaine Magee, MPH, RD, author of Food Synergy: Unleash Hundreds of Powerful Healing Food Combinations to Fight Disease and Live Well (Rodale, 2008). You don’t have to eat in a fancy restaurant presided over by a professional nutritionist to enjoy the benefits of food synergy, either. While researchers haven’t even begun to untangle all the science behind the synergy, these “power couples” can easily come together in your own kitchen — and prove that, when it comes to our diets, one plus one can easily equal three. Green tea is at the top of the functional-drink heap, promoting wellness through antioxidants called catechins, which can aid in reducing the risk of both heart disease and cancer. But if we want a bigger health boost from our tea, we should be adding a splash of citrus, says Mario Ferruzzi, PhD, associate professor of food science at Purdue University. “In test tube and animal studies, we discovered that ascorbic acid, such as that in citrus including lemon, orange and lime juice, helps stabilize catechins in the gut and increase absorption into the bloodstream,” he says. Looking for a warm-weather alternative? Brew up a batch of iced tea and add slices of lemon. Other research suggests that pairing green tea with capsaicin (the compound that gives chili peppers their pow) can increase satiety and potentially aid in weight loss. The tag team of green tea and lycopene, present in watermelon, tomatoes and pink grapefruit, works synergistically to help men dodge prostate cancer. Yogurt and other fermented foods, such as kefir, tempeh and sauerkraut, are teeming with beneficial live bacteria called probiotics that keep our immune and digestive systems strong. But, like all living creatures, they need something to munch on to thrive. Enter inulin. Found in bananas, asparagus, Jerusalem artichokes (sunchokes), onion, endive, garlic, leeks, wheat germ and artichokes, inulin is a nondigestible carbohydrate that acts as a food source for intestinal bacteria. “It behaves as a prebiotic to enhance probiotic growth,” says Georgianna Donadio, PhD, program director for the National Institute of Whole Health in Massachusetts. In addition to boosting the friendly critter count in your gut, inulin increases the intestinal absorption of bone-strengthening calcium. If calcium could speak to vitamin D, it would say, “You complete me.” That’s because the sunshine vitamin increases the amount of calcium that gets absorbed in the intestines, says Magee. Ergo, you can down all the calcium-rich foods you want, such as tofu, yogurt, sesame seeds, broccoli and cheese, but without a steady supply of calcium’s wingman, your bones won’t reap the rewards. European scientists recently reported that adequate daily consumption of both calcium and vitamin D was linked to a 20 percent drop in the rates of hip fracture in individuals 47 or older. Harvard scientists found that subjects with the highest calcium intake and blood vitamin-D levels had reduced insulin secretion, which may offer protection from type 2 diabetes. And another Harvard study determined that premenopausal women with the highest intakes of both vitamin D and calcium had a 30 percent lower risk of developing breast cancer. Your best bet for getting enough vitamin D is to spend a minimum of 10 minutes a day in the sunshine (with a decent amount of skin exposed), but you can also benefit from good food sources, like cod liver oil, salmon and sardines. The latest recommendations from respected experts like Andrew Weil, MD — 2,000 IU of daily vitamin D — suggest that you may also need a daily vitamin-D supplement. Find naked salads unbearably boring? Then, by all means, top them with vinaigrette or a sprinkle of toasted pine nuts. Similar studies from Ohio State University and Iowa State University showed that adding healthy fats like nuts, extra-virgin olive oil or avocado to your salad bowl can increase the amount of beneficial antioxidants — such as lutein in leafy greens, lycopene in tomatoes and red peppers, and beta-carotene in carrots— your body absorbs. “Fat slows down the digestion process, which gives the plant compounds in the same meal a better chance of being absorbed,” says Magee. Fat also helps fat-soluble antioxidants, such a vitamin E, dissolve in the intestine so they can be passed into the bloodstream more efficiently. After absorption, says Magee, these antioxidants may help vanquish some of the free radicals in our bodies, which can damage DNA and trigger diseases and hasten aging. In fact, a 2008 Journal of Nutrition study reported that those who ate more alpha- and beta-carotenes — compounds in fruits and vegetables that help bring out their stunning yellow, orange or red hues — had roughly a 20 percent lower risk of dying from heart disease over a 15-year period than those who took in less. Long before food synergy became part of our lexicon, scientists knew that iron and vitamin C form a unique relationship. Iron comes in two guises: heme iron, the type found in animal products such as beef, fish and poultry, and a form called non-heme, found in plant foods like beans, whole grains and spinach. So how does vitamin C pull off this nifty trick? Donadio says it likely participates in the production of an enzyme responsible for changing non-heme iron to a more easily absorbed form called ferrous iron, so you get more mileage, for example, out of the iron in your bean salad. Iron is necessary for producing hemoglobin, which transports oxygen to muscles and the brain. Low levels can lead to fatigue, weakness and poor concentration. Vegans and vegetarians should take particular heed of this food pairing to help keep iron stores replete. Premenopausal women are also particularly vulnerable to iron deficiency due to losses through menstruation. By all accounts, the American diet is tantamount to a salt lick. According to Centers for Disease Control data, the average person in the United States consumes an elephantine 3,436 milligrams of sodium daily, double the amount most people should ingest. For some, this is a recipe for cardiovascular woes because of a salt-induced rise in blood pressure, which raises stroke and heart-attack risk. 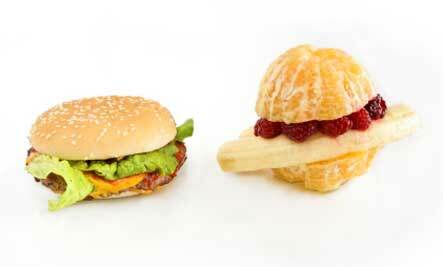 But potassium, which encourages the kidneys to excrete sodium, can counter the harmful effects of sodium overload. So, when noshing on salty dishes or sodium-packed canned soups, frozen meals and fast-food fare, make sure to load up on potassium-plump fruits, vegetables and legumes at the same time. The outcome of this perfect pairing is less muscle soreness and better fitness results. Postworkout, Kimball recommends carbohydrate and protein combinations such as a turkey sandwich, yogurt and fruit; brown rice and grilled chicken or tofu; and pasta with meat sauce. Merlot and salmon may indeed be a perfect pairing. A 2008 study published in the American Journal of Clinical Nutrition reported that European men and women who consumed as little as 4 ounces of wine a day had higher blood levels of the omega-3 fats found in fish such as trout, salmon and sardines. The same results were not found for beer or spirits. Scientists believe that heart-chummy polyphenol antioxidants in wine such as resveratrol might be responsible for the improved absorption of omega-3 fats, which have been shown to protect against myriad maladies, including depression, diabetes, mental decline and stroke. Prefer chardonnay over merlot? According to a 2008 Journal of Agricultural and Food Chemistry study, white wine contains its own distinct polyphenol compounds that give it the same heart-protective qualities as red. 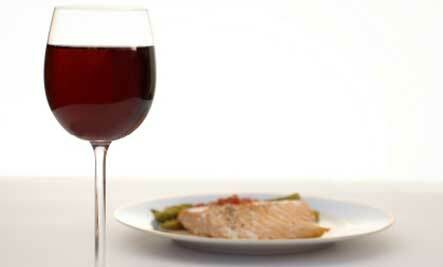 You can enjoy wine with your fish or even use it to marinate your catch of the day. The lessons of food synergy, it seems, are the same commonsense lessons we’ve been hearing for a long time now: For good health, eat a variety of whole foods — and eat them together. Good news for grilled-meat lovers: Scientists at Kansas State University discovered that adding rosemary and other herbs to meat cooked at high temperatures reduces the formation of suspected carcinogenic compounds called heterocyclic amines (HCAs) by as much as 70 percent. 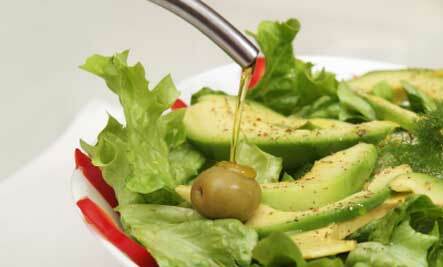 Antioxidants in extra-virgin olive oil have also been found to help fend off cancer-promoting HCAs. Similarly, marinating meat such as steak and chicken in an antioxidant-rich spice or wine blend has been shown to be a very effective method of reducing HCAs. Alas, some couples were never meant to be. 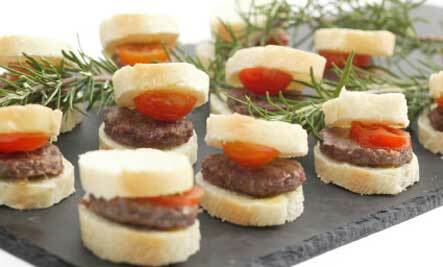 Here are three common food pairings that fail to bring out the best in either party. A recent study in the European Heart Journal suggests you shouldn’t follow the lead of the Brits and spike your tea with milk. The scientists discovered that adding moo juice to black tea blunted its cardiovascular benefits. Casein protein in milk may bind up antioxidants in tea, rendering them less available for absorption. 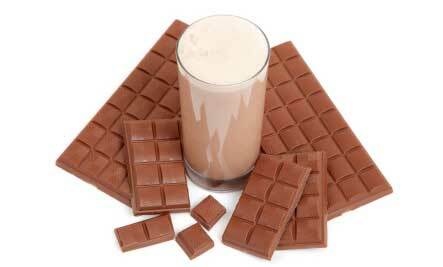 A few studies have also found that milk can reduce absorption of flavonoids in cocoa. These flavonoid antioxidants are believed to be behind the numerous health perks, such as reduced blood pressure, attributed to dark chocolate. So choose dark chocolate over milk chocolate when possible. “Tannins present in coffee, tea and wine are known to interfere with iron absorption, particularly the iron found in plant-based foods like oatmeal, beans and leafy greens,” says Jarod Hanson, ND. The upshot is this: If you’re prone to iron deficiency, you might want to avoid the cup of joe with your morning oats. It has been an extra sickly flu season for a lot of the folks in my life, and I bet that a lot of you are battling the wintertime ick, as well. With more cold weather on the way in a lot of the northern hemisphere, it felt like a good time to round up a few of the cold and flu remedies that seem to actually make a difference. While there’s no way to totally cure a cold or the flu once it’s taken hold, these remedies can definitely help reduce your sickness’ severity and duration. I wish I could remember who hipped me to oil of oregano, but this stuff has been great for me this flu season. 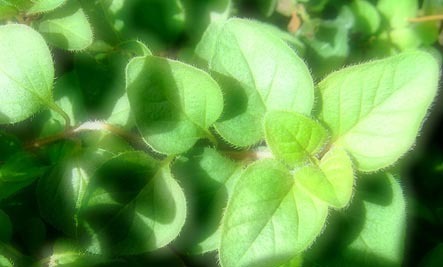 Oil of oregano is rich in vitamins and minerals and is said to reduce pain and inflammation. The second you start feeling run down, you’ll want to pop oil of oregano pills twice a day between meals. I normally get a couple of bad illnesses during the winter, and this time around I managed to kick the sick in just a few days, rather than battling symptoms for a week. I’ve talked about vitamin D’s flu-fighting abilities before, and it bears mentioning again. 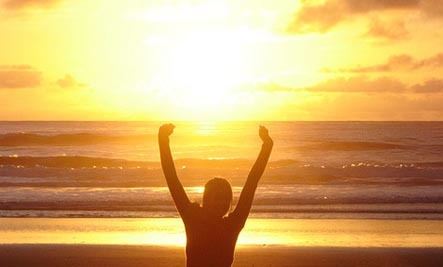 You can get your vitamin D through dietary sources, supplements, or good old sunshine. The only trick with vitamin D is that you want to be careful not to take too much. Since this is a fat soluble vitamin, your body doesn’t eliminate it as efficiently as water soluble vitamins. According to a recent article in the New York Times, zinc is a powerful natural cold and flu remedy. The trick is finding a reliable lozenge. 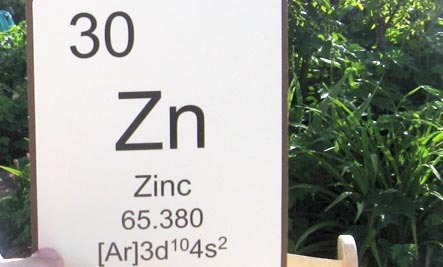 Many of the ones in the drug store have additives that either make the zinc less effective or lower the zinc content too much. Stick to a brand you trust and do some careful label reading to find a zinc supplement without too many extra ingredients and a higher percentage of zinc. 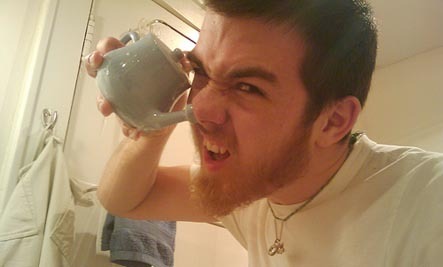 I can’t say enough good things about the neti pot! While it’s a little bit tricky to use at first, once you get the hang of it, you’ll never want to be without yours. If you’re feeling congestion coming on, I’d suggest flushing with the neti pot a couple of times a day. 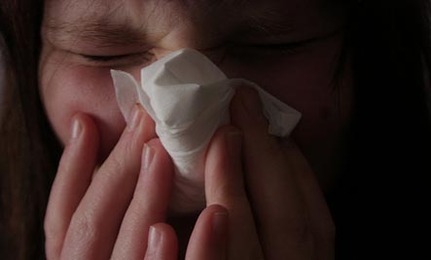 Even if you still get sick, you’ll spend fewer days mouth breathing and nursing a dry, painful nose. New to the neti pot? Here are some tips for getting started with a neti pot. When all is said and done, rest is one of the best things you can do for your body when you’re under the weather. Your immune system needs time to do its thing, and resting gives your body a chance to heal. It’s sometimes hard to take a day off from work to nurse yourself back to health, but a day or two of rest now can help cut down the duration of your illness and save you many days of discomfort. 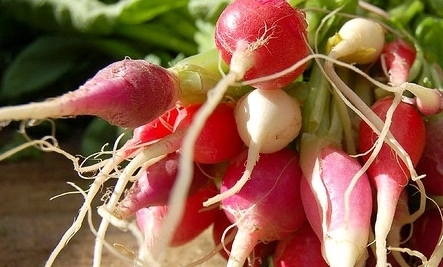 Spring is finally here and along with it starts the cascade of vibrant superfoods. Obviously, some take a little longer than others, but here are my picks for the top 10 spring superfoods. Enjoy! Artichokes—A medium-sized artichoke is loaded with fiber (about 10 grams) and vitamin C. It also contains plentiful amounts of the heart- and muscle-health minerals magnesium and potassium. 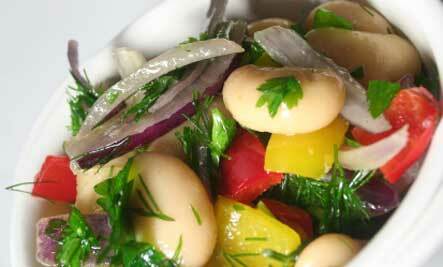 It’s also high on the ORAC list of foods that have high antioxidant values. High amounts of antioxidants translate into reduced free radicals linked to aging and disease. Asparagus—An excellent source of nutrients like vitamin K which is necessary for bone health and folate, asparagus also contains good amounts of vitamins C, A, B1, B2, niacin, B6, manganese, potassium, magnesium, and selenium. Its high folate content makes it especially good for pregnant women who have higher folate needs than most people. Chives—Potent in antibacterial, anti-yeast and antifungal compounds, chives has many similar properties to its relatives garlic and onion. Chives also help boost glutathione levels in the body. Glutathione is a powerful detoxifier and anti-cancer compound. Collards—Research shows that collards are among the best foods for lowering cholesterol levels due to its superior ability to bind to bile acids in the intestines. Collard also shows excellent anti-cancer properties thanks to its naturally-occurring components, including: glucoraphanin, sinigrin, gluconasturtiian, and glucotropaeolin. Kale—Proven to lower the risk of bladder, breast, colon, ovary, and prostate cancer, kale is among the best superfoods available. Great for building healthy bones largely due to its high calcium content, kale also improves the body’s detoxification systems by increasing isothiocyanates (ITCs) made from the vegetable’s glucosinolates. Researchers have identified over 45 phytonutrients in kale, including kaempferol and quercetin, giving it impressive antioxidant and anti-inflammatory properties. Rhubarb—High in fiber, vitamins C and K, rhubarb stalks (not the leaves which are poisonous), rhubarb is an excellent spring food but most people don’t know what to do with it. Sorry, dumping cups of sugar into it for jams and pies wrecks any superfood qualities this food might otherwise have. I enjoy it stewed or added to chutneys. Spinach—Not just for Popeye anymore, spinach is high in iron, calcium, beta carotene (which turns into vitamin A in your body), and vitamin K, which is important for bone and blood health. The chlorophyll gives spinach their green color and is a powerful blood cleanser. High in neoxanthin, which is proven to aid prostate health, spinach also contains the phytonutrients lutein and zeaxanthin which strengthen the eyes and help prevent macular degeneration and cataracts. Spring greens—Spring greens contain high amounts of calcium and magnesium needed for strong bones, muscles, and a relaxed nervous system. Like spinach, they also contain the blood cleansing phytonutrient chlorophyll. Strawberries—Just eight strawberries pack more vitamin C than one orange. Whether you want to evade heart disease, arthritis, memory loss, or cancer, these berries have proven their ability to help. Watercress—If ever there was a vegetable made for smokers, watercress is it. 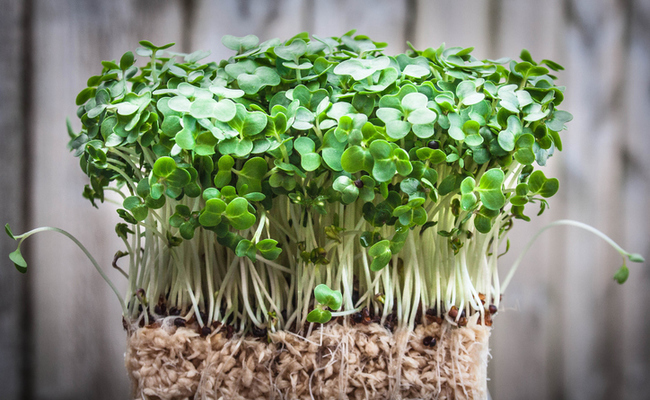 In a study published in the American Journal of Clinical Nutrition, researchers found that eating raw watercress daily increased the ability of cells to resist free radical damage to DNA, which reduces the risk of cell changes linked to cancer. Their research showed that this protective benefit was pronounced in smokers. 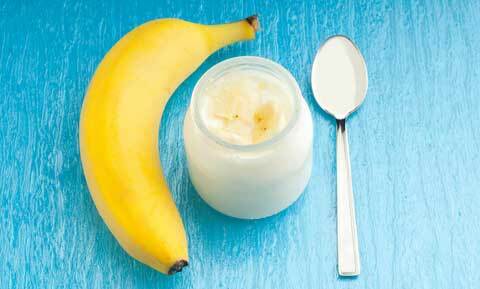 But, anyone can benefit from this spring nutritional powerhouse. It is also high in beta carotene (essential for skin and eye health), B-complex vitamins (important for nerves, energy, and mood balance), and vitamin E (critical for skin and immune system health). Michelle Schoffro Cook, MSc, RNCP, ROHP, DNM, PhD is an international best-selling and twelve-time book author and doctor of traditional natural medicine, whose works include: Healing Recipes, The Vitality Diet, Allergy-Proof, Arthritis-Proof, Total Body Detox, The Life Force Diet, The Ultimate pH Solution, The 4-Week Ultimate Body Detox Plan, and The Phytozyme Cure. Check out her natural health resources and subscribe to her free e-newsletter World’s Healthiest News at WorldsHealthiestDiet.com. What could be better than protecting your lips from the winter’s chill by slathering on chocolate? Not much, and I bet if you went to the Environmental Working Group’s, Skin Deep website and checked out what’s lurking in lipstick (lead, yikes!) you’d ditch the lipstick and opt for healthy, homemade Cocoa Lip Balm. Here at Care2 we’ve posted about all that nastiness here and here. 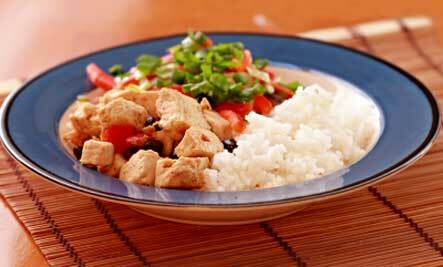 Slowly melt ingredients in a double boiler or in 30-second spurts in microwave. Cool slightly and fill recycled containers. You may need to adjust the ratio of ingredients to suit your liking. Yum! Ronnie Citron-Fink is a writer and educator. Ronnie regularly writes about sustainable living for online sites and magazines. Along with being the creator of www.econesting.com, Ronnie has contributed to numerous books about green home design, DIY, children, and humor. Ronnie lives in the Hudson Valley of New York with her family.